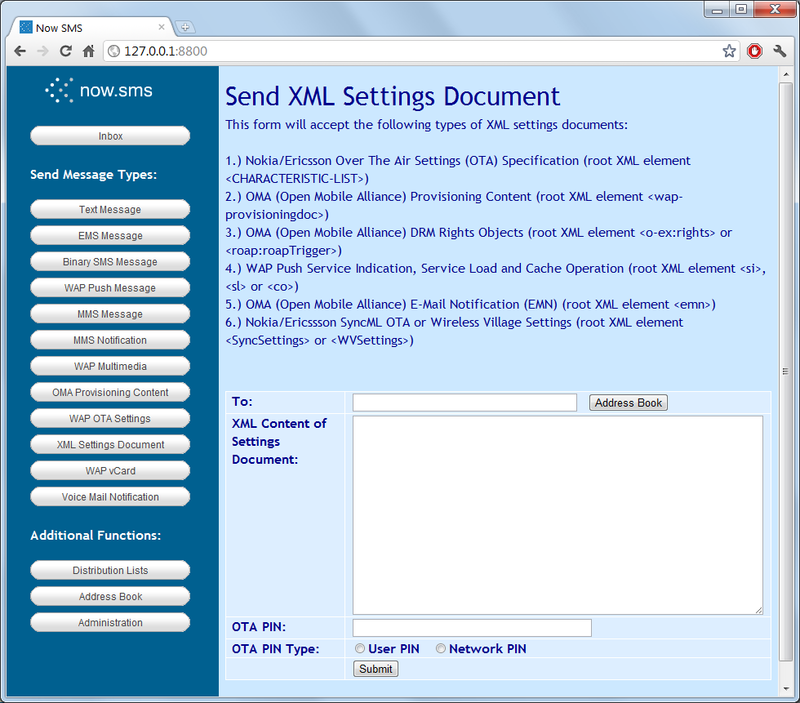 The “Send XML Settings” Document provides greater flexibility for the sending out of custom XML Settings documents, above and beyond the XML that can be generated by the various OTA web forms of NowSMS. NowSMS also supports ROAP Trigger messages (root XML element <roap:roapTrigger>) as defined in the OMA DRM 2.1 specification. Use the “Submit” button to send the settings.